BounceU of College Point was founded on the belief that there should be a place for clean, safe family fun within the five boroughs of New York City. As native New Yorkers, the owners knew firsthand the limitations that often come with being raised in New York City. So when they saw an opportunity to bring Queens the same joy experienced by so many in the suburbs, they seized the moment. And this is just the beginning. We look forward to serving the families in our neighboring communities and beyond for many years to come! We go out of our way to make your child feel SUPER special on their bestest day ever! 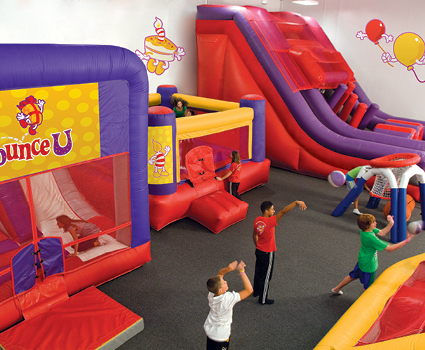 Our SUPER STAR service is what makes a birthday party at BounceU of College Point just as awesome and stress-free for parents as it is fun for the kids. 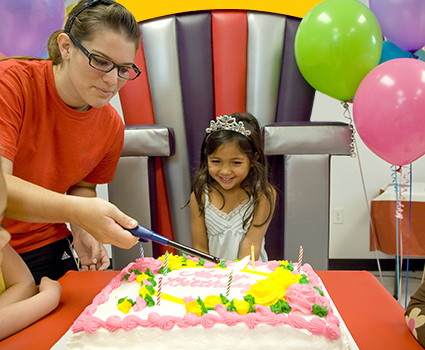 Our specially trained Party Pros are the birthday party experts and always treat the birthday child like a VIP! We'll make your party awesome by creating lasting memories, and making your child feel super spectacular!